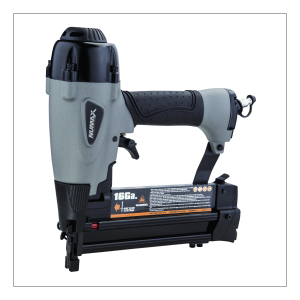 The NuMax SBR50 Pneumatic 18-Gauge 2″ Brad Nailer is a great addition to your workshop or craft room, and is designed for applications such as decorative and furniture trim, base boards, crown moulding, window casing, chair rails, and picture frame assembly. Compatible with 18 gauge brad nails from 5/8″ to 2″, this air powered nail gun has an aluminum side loading magazine with a reload indicator to let you know when fasteners are running low. 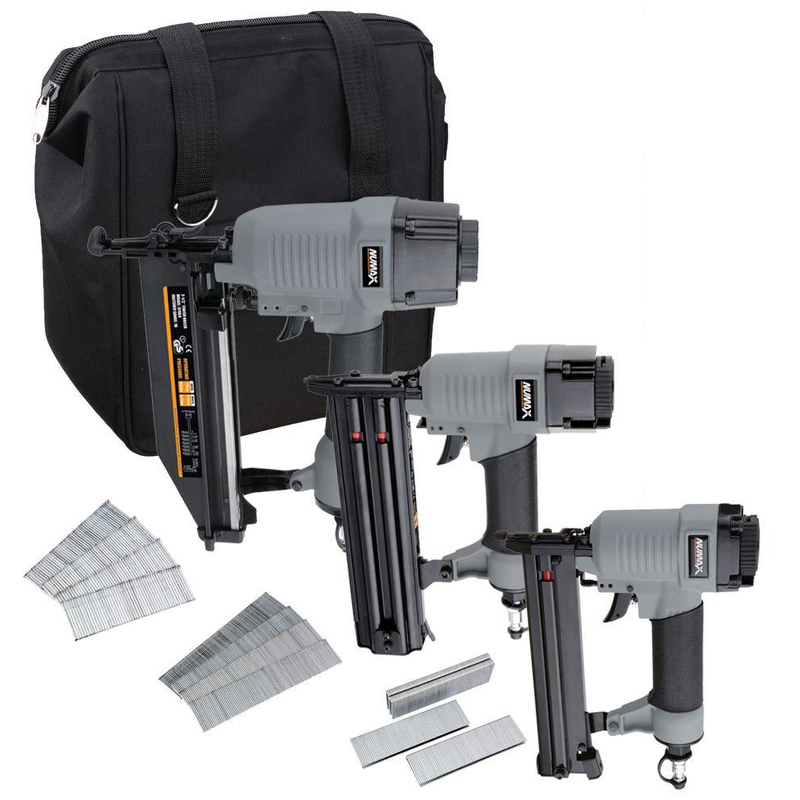 The ergonomic design of this durable die cast aluminum brad nailer provides great balance during use, and the comfort grip handle reduces fatigue and delivers precise control. A 360 degree adjustable exhaust allows you to direct air away from your face and work surface. The Pneumatic 18-Gauge 2″ Brad Nailer will increase your productivity by allowing you to complete your DIY projects and professional contracts fast and easy, and is covered by NuMax’s 1 Year Limited Warranty and 30 Day Limited Parts Warranty. 10.5" x 2.25" x 9"
18 Gauge Glue Collated Brad Nails from 5/8" – 2"